, is a great way to start off your year. Most of the recipes are naturally low in oil and many can be made oil-free too! I love how jackfruit has come front and center in vegan recipes this year. 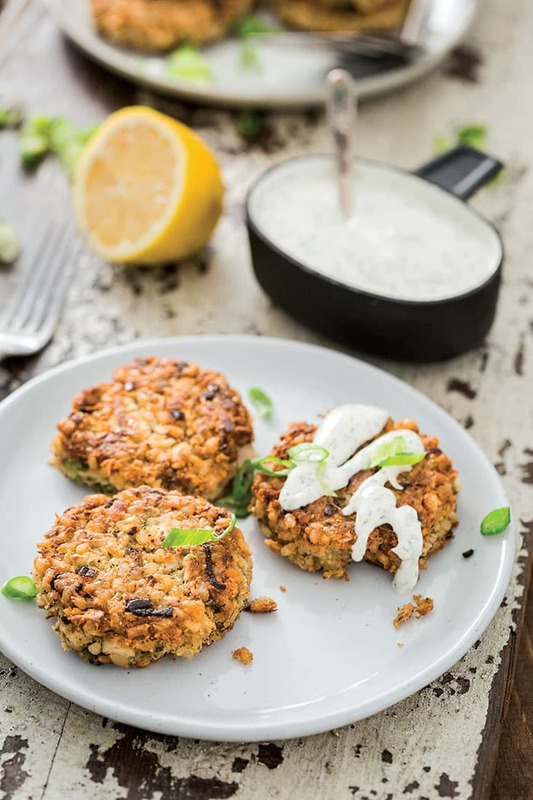 These crabless cakes are made with it, white beans, and brown rice. 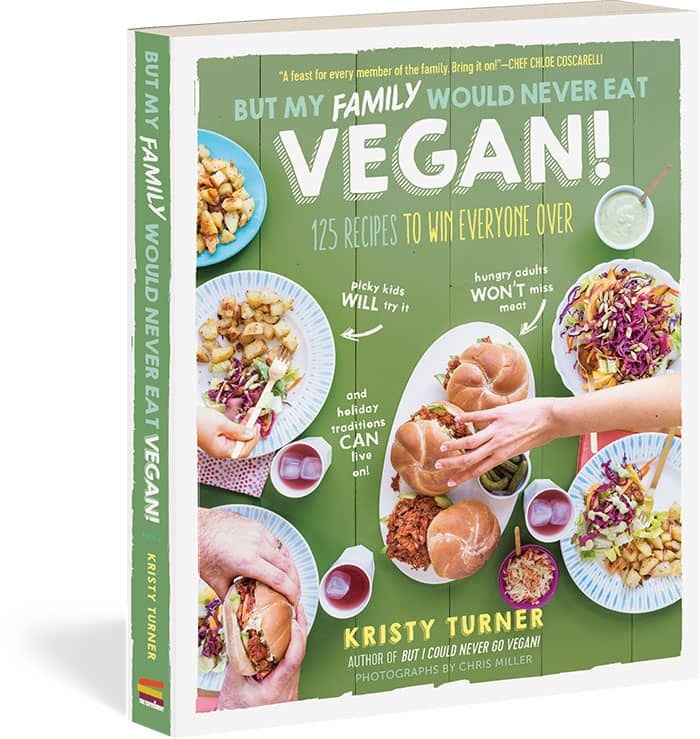 I can’t wait to try Kristy’s Mushroom-Kale Skillet Hash, Cashew Cheese Stuffed Meatballs, Chile-Roasted Tofu Lettuce Cups, Filet O’Chickpea Sandwich, and Champagne Cupcakes. There are 125 recipes, and I’m sure you’ll find tons that will fit in your diet. You know those nights when you crave something a little greasy, quickly? Don’t settle for some third-rate drive-thru or restaurant—treat yourself to something delicious and, I dare say, gourmet and that comes together with very little effort! 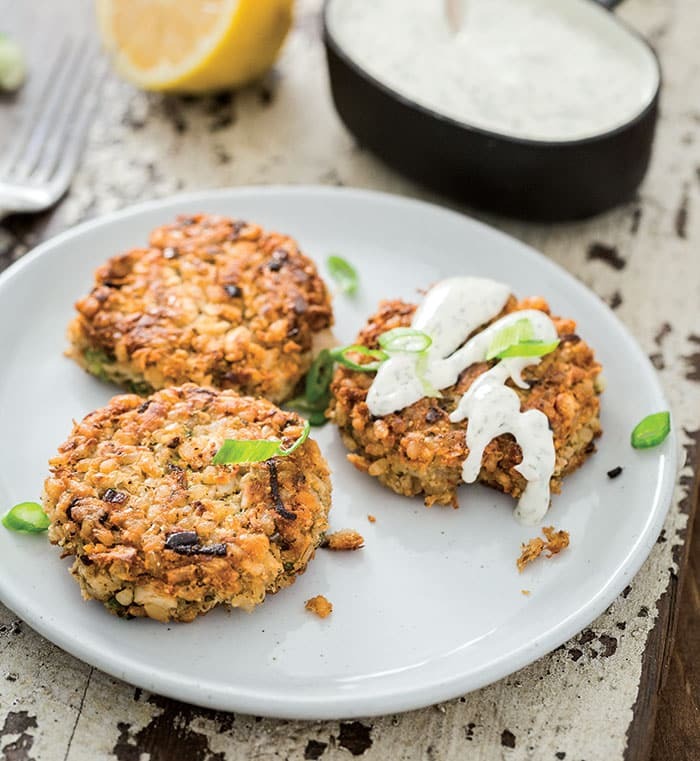 These jackfruit-based crabless cakes are ridiculously tasty and will have you wiping your (slightly) greasy fingers on your jeans in just 30 minutes. If you want to go a healthier route, you can always bake these guys (see Variations), and if seafood isn’t your thing, leave out the Old Bay Seasoning and kelp granules. Place the jackfruit in a food processor and pulse about five times, until broken up into smaller pieces. Pour the beans into a bowl and use a potato masher to mash them until creamy but still chunky. 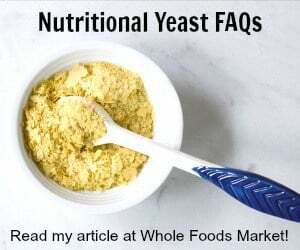 Add the jackfruit, green onions, brown rice, chickpea flour, mayonnaise, Old Bay, liquid aminos, parsley, kelp granules, garlic powder, salt, and pepper and stir together until combined. The mixture should hold together when you squeeze it. If it doesn’t, add chickpea flour by the tablespoon until it does. Scoop up ⅓ cup (80 ml) of the mixture and use your hands to shape it into a patty. Place the patty on the baking sheet. Repeat with the remaining mixture. You should have about 12 patties. coat the bottom and heat for 2 to 3 minutes. Line a plate with paper towels. Place three or four patties in the pan and cook for 3 to 4 minutes on each side, until crispy and browned all over. Place the cooked patties on the plate and top with more paper towels to absorb any excess oil. Repeat with the remaining patties, adding more oil as necessary, until all are cooked. While the cakes are cooking, make the aïoli: Combine all the ingredients in a cup and stir together. Chill until ready to use. Garnish the cakes with chopped green onions and serve with the aïoli on the side. Leftovers will keep in an airtight container in the fridge for 3 to 4 days. ►► Alternatively, you can bake these crab cakes. Preheat the oven to 375°F (190°C). Leave the patties on the baking sheet. Spray the tops of the cakes lightly with olive oil. Bake for 10 minutes, flip them, spray with olive oil, and bake for another 10 minutes. Serve immediately. ►► You can also put these cakes in a sandwich, using the aïoli as a spread. You will not regret it!